** Will only work on the Glock 19 and 23! ** Does not work with Back Strap. ** Will not fit properly on stippled firearms. 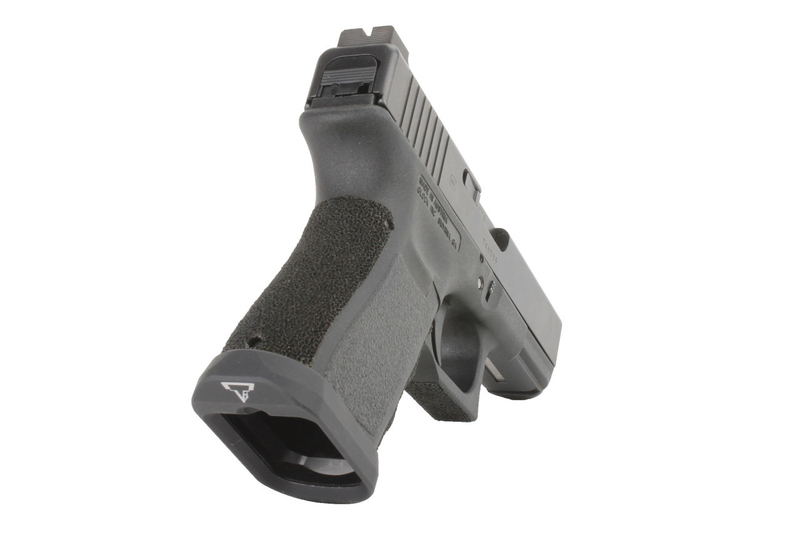 The magwell will not seat properly if the firearm is stippled all the way to the bottom of the grip. ** Will not work on Poly 80 frames. Taran Tactical Innovations Carry Magazine Well for Gen 3/4 Glock 19/23 provides the ultimate in reloading performance for your Glock pistol. CNC'd from high quality billet aluminium right here in America, our one-piece set screw design offers premium performance without the irritation of a two piece design. Forward ergonomic relief cuts provide comfort, while a aggressive funnel increases the speed and success of quick reloads. 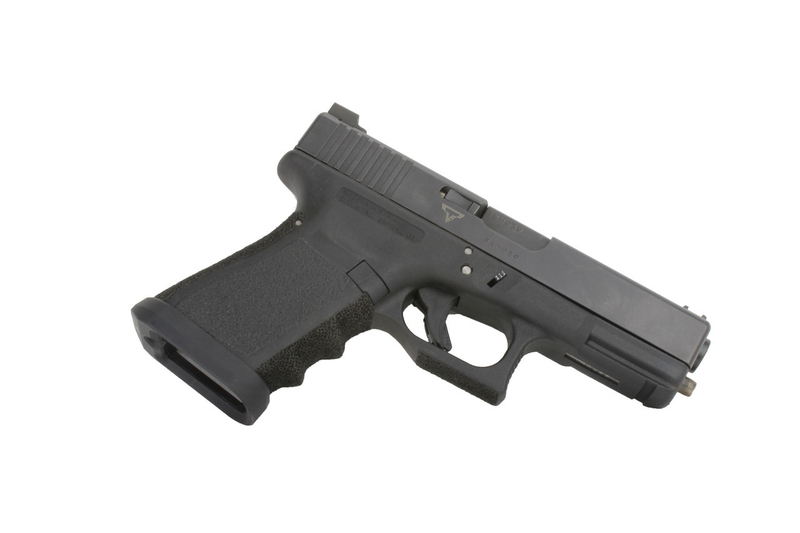 .7 ounces of high quality Aluminum provides much needed weight for balance to your limited Glock. - CCP legal (compact carry division)!! - Aluminium .7oz of high quality craftsmanship to provide weight and help improve your reloads. 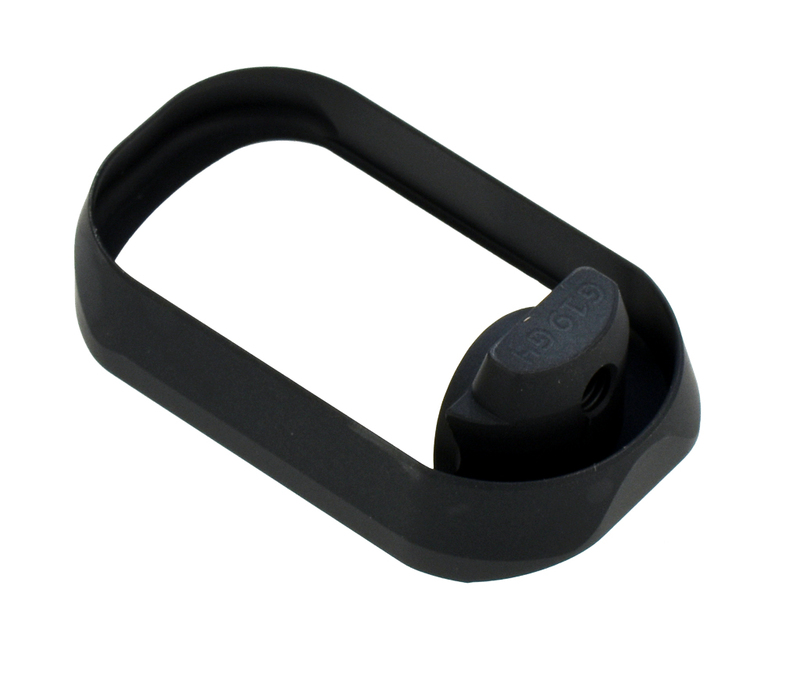 - One piece design removes the hassle of losing parts. - Set screw increases the comfort of retention (Extra-Long Extended Point Set Screw, Alloy Steel, 10-32 Thread, 3/8" Long). - Massive funnel increases the accuracy of reloads. - Underside cuts allow for retention and functionality with all current basepad extensions. 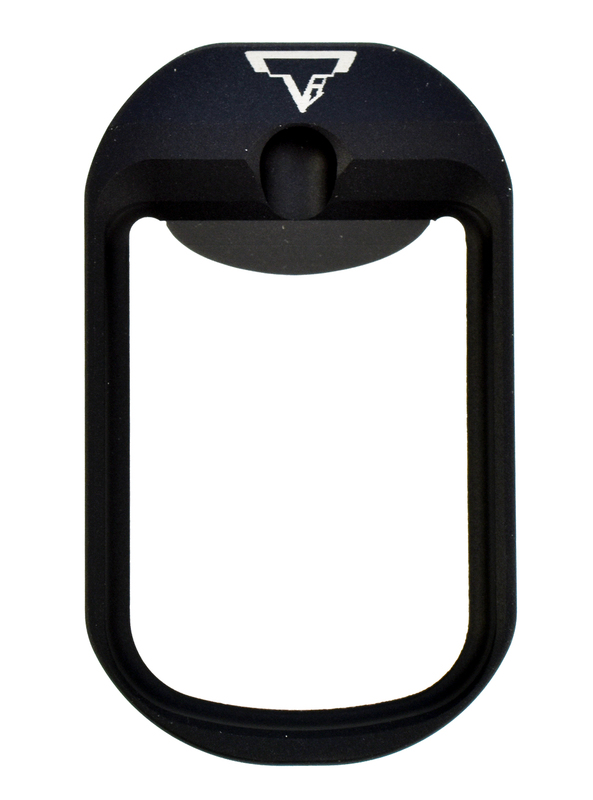 - Includes an Inch Hex L-Key Standard, 3/32" Hex, 2" Long.